On April 16, 2002, the Pennsylvania Legislature passed House Resolution 533 "Honoring Carol Spizzirri on her accomplishments with the Save A Life Foundation and supporting the expansion of the Save A Life Foundation in Pennsylvania." Resolution 533, introduced by former Rep. Thomas Petrone of Pittsburgh, includes a variety of bogus claims. It's never too late to clean up the record, so yesterday my friend Gordon Pratt of Milwaukee and I wrote to House Majority Leader Mike Turzai (who co-signed the Resolution) and Minority Leader Frank Dermody requesting that they take steps to do so. Per Gordon's 2009 letter to the editor of the Daily Herald, "I was married to Carol Spizzirri from 1968-1981, when we divorced. Since 1993, I have repeatedly contacted elected officials in Illinois and elsewhere in an attempt to bring to light misrepresentations made by the Save A Life Foundation." Per our letter to the senators -- click here to download a copy -- that false version of events and other squiffy claims were in the House Resolution praising/supporting Spizzirri and her operation's expansion into the Keystone State. 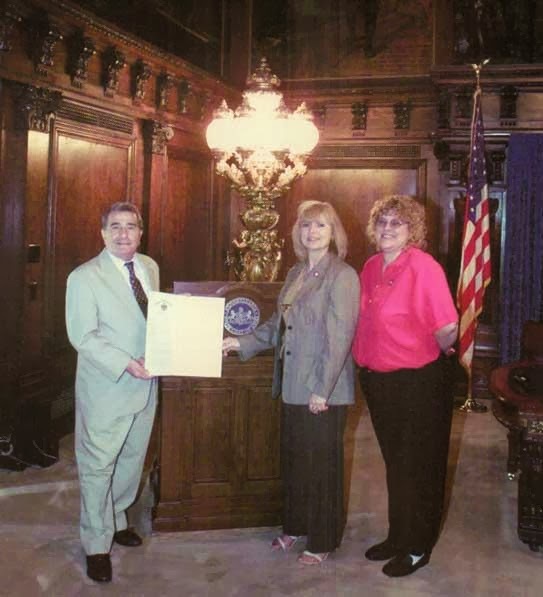 The Resolution also noted that "the Save A Life Foundation medical advisory board includes Dr. Henry Heimlich, father of the Heimlich maneuver and head of the Heimlich Institute (and) Dr. Peter Safar, developer of cardiopulmonary resuscitation and the head of the Safar Research Center, Pittsburgh, Pennsylvania...."